From 1890 up to 1968 there were two initiatory and emblematic training institutions for colonial physicians and pharmacists : the first of them was dubbed by its trainees "La Boite" (the Place) and the other one was known as "Le Pharo" ! The first institution, the Naval Medical School turned you into a physician, or a pharmacist and a military personnel. The second one, the "Pharo" school, turned you into a colonial : you were entering the Colonial Medical Corps. When the Colonial expansion started, there were very few military health professional on duties in the colonies and their training had taken place in Medical Academies of the Navy. 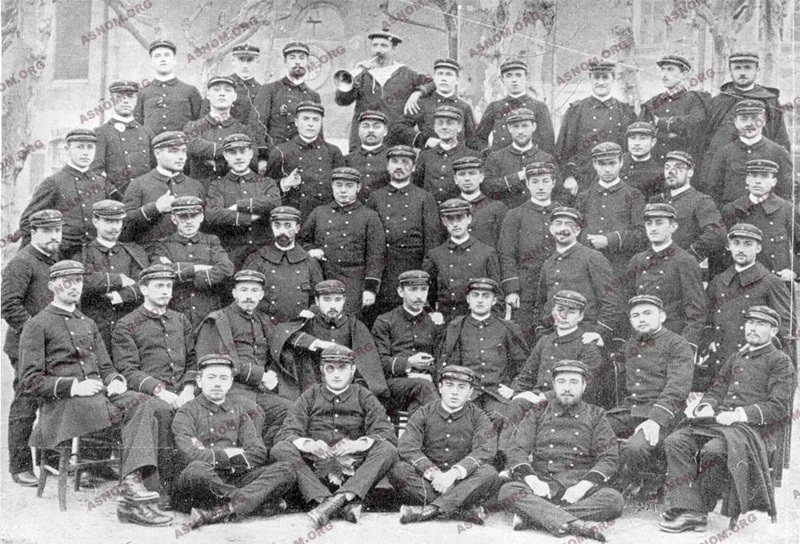 From 1890 onwards, these health professionals were required by law to be fully-fledged doctors or pharmacists and the "Ecole Principale du Service de Santé de la Marine et des Colonies", known among the public as "Ecole de Santé Navale" (Naval Medical School) was set up in Bordeaux for their training. Trainees attended the University of Bordeaux Medical School or the School of Pharmacy and got their degrees in these institutions. This training was in fact the one physicians needed to practice medicine in France. Medical Academies of the Navy became then "Subsidiaries Academies". 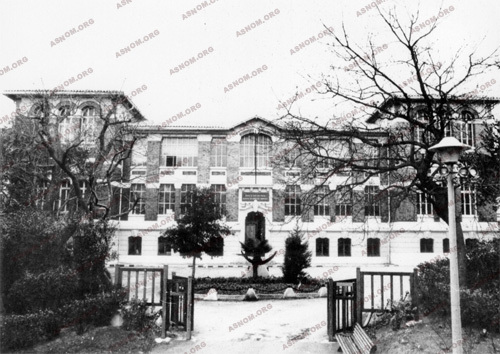 There was also a Colonial Department in operation at the "Ecole de Santé Militaire" (Military Medical School) in Lyons from 1925 up to 1956. 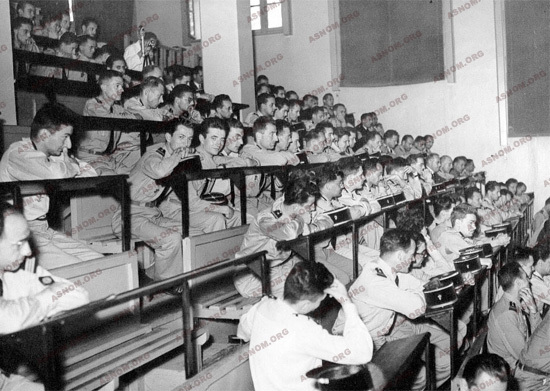 With the completion of their training in the "Ecole de Santé Navale" (Naval Medical School), trainees who were military personnel after they had been awarded their university degree, became full-fledged physicians or pharmacists and had then to undergo an additional training course in the "Training School of the Medical Corps" or "Pharo School" to become medical officers or pharmacists of the Colonial Medical Corps. By the time of their graduation trainees were promoted officers and these medical officers and pharmacists had to attend an additional training course at the "Ecole d'Application du Service de Santé Colonial" which got started in 1905 and was in brief called "Ecole du Pharo". In this institution they specialized in tropical medicine and pharmacy. This "Pharo Institute" in Marseilles was like a melting pot where officers of the Colonial Medical Corps, either physicians who had been trained in Bordeaux or Lyons, or pharmacists trained in Bordeaux or recruited only after their graduation, but also officers in charge of management duties, and nurses who were non commissioned officers could mix together while attending the course. There, they all got the feeling of being members of the same corps sharing the same objectives and the same methods of working and this was also a place where solid bonds of friendship could form. When compared to the rather small number of personnel involved, the importance of their achievements has to definitely be emphasized. Before the French revolution each medical corps of the Military had to train its own personnel. Military Medical academies were not connected in anyway to any university medical school so that their trainees did not become MD's. But after a few years of medical practice in the Military they could undergo the requested training course and take the requested exams to earn their MD thus becoming physicians in their own right. Medical officers of the army were trained in military hospitals in Lille, Metz, Strasbourg and Toulon. 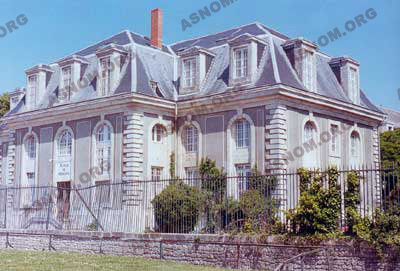 As far as the Navy was concerned, the Navy Hospital in Rochefort was built in compliance with a 1673 decree Later in 1689, an ordinance provided for the creation of three naval surgery academies in three different naval bases which already had a hospital and an arsenal, namely Rochefort in 1722 at the behest of Cochon Dupuy, Toulon in 1725, and Brest in 1731. 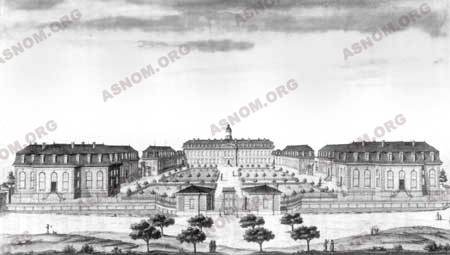 Toufaire had a gigantic plan for Rochefort which took shape in 1788 with the building of a hospital which was the like of a university hospital before the term was invented. The design of this hospital had the shape of a capital H letter with wings where patients afflicted by the same disease could be accommodated together, and in so doing, the risk of contagion was avoided. To say the least this assumption was well ahead of its time, one hundred years before Pasteur's works. 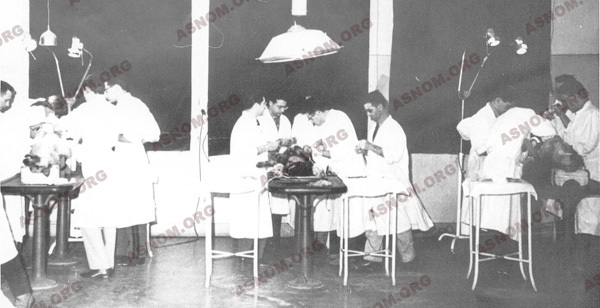 These institutions were assigned the task of training active duty surgeons but there were also auxiliary surgeons with a fixed term contract. As a consequence of better standards of public education, regulations were changed regarding the practice of medicine and pharmacy. Both medical practitioners and pharmacists were required to be MDs or full-fledged pharmacists and the Military was therefore compelled to have its training institutions to towns where a university could be found. 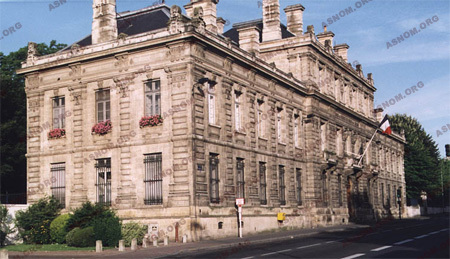 In 1890, the Navy set up the Navy Medical School in Bordeaux, dubbed 'la Boîte" (the place). It's the "Alma Mater" ! Once they had achieved their high school curriculum and graduated in biology, physics and chemistry at the college of science, they had to enter one of the subsidiary schools. Signed up as medical students at Paris, Bordeaux, or Marseilles College of Medicine and while attending their first year of medical curriculum, in one of the three Naval Medical Academies located in Rochefort, Brest, and Toulon, they trained for the competitive examination for their admission to the "Ecole de Santé Navale" (Naval Medical School). This competitive examination was taken according to the same curriculum as the first year medical curriculum. By the end of this first year they had to take their regular annual exam with an examining board belonging to their medical school and a few weeks after, they took the competitive examination for their admission. Pharmacy students also were having their first year of training at the Naval Hospital and were taught advanced chemistry and physics, which were the most important subjects in their curriculum, in order to be ready for their competitive admission examination. Around fifty medical students and five to ten pharmacy students were recruited each year. This admission was quite a tough competition and before 1940 it usually took two years for students to succeed as usually most of them failed the first time. Upon their recruitment they committed themselves to working for the military during at least a ten years period of time which was to start after their graduation. They donned the naval officer uniform. Trainees had the same curriculum as other medical students but they were carefully monitored by the staff of the "Ecole de Santé Navale" and were compelled to attend all courses at medical school and also the training in hospitals. Every two weeks or so they had a mock examination to test their knowledge of what had already been taught. According to their marks, they could be granted leaves as during their three or four first years there they were boarders. At first Medical trainees had a four then later a five year long curriculum before their graduation. Future pharmacists had a three then later a four year long curriculum and while studying pharmacy, in the meantime they also had to attend advanced chemistry and botanical courses at the College of Science and take the relevant exams. With their graduation they became fully-fledged MDs or pharmacists according to the provisions of French law and then, according to their rank in their class they selected their assignment to the Navy, to the Colonial Army and as of 1941 to the Air-force. La vie interne de l'Ecole est l'objet de rites estudiantins particuliers de manifestations militaires destinés à créer les liens de camaraderie et d'amitié indispensables à un avenir plein de responsabilité. Their training at the Naval Medical School was also a military one as this institution was run according to the same scheme as all other military academies and they had to abide by military rules of behaviour and discipline which was enforced by the military staff of the Academy. They were also drilled in boot-camps and had horse riding training in barracks which were close to the academy. While living all together during a four for five year period of time some of these chums became bound by strong and lasting ties of friendship. Friendship was also made easier with recreational activities which, according to each one's hobbies, could be their participation in sport teams which were often successful in the Navy's championships but also their attendance to reading clubs, or their participation in religious activities or in society life. A senior medical officer of the Navy with the rank of general is at the head of the Naval School of Medicine which up to 1964 remained the main training institution for medical officers and pharmacists of the Navy, the Colonial Army, but also since 1942 for a few medical officers of the Air Force. Today the ways of recruitment for the Naval Medical School and the Military Medical School have changed and are not anymore like they were in the past. Furthermore as of 1981 no more pharmacist is trained in Bordeaux as training of all future pharmacists of the military now takes place at the "Military Medical School" in Lyons. From 1934 onwards, following the example which had been set several years previously by the Pharo Institute every Class has to select the name of an alumnus who is thus considered as its Patron. The naming ceremony takes place every year in spring time with the participation of the highest authorities of the ministry of defense, of the Alumni, and also with trainees relatives and friends. This ceremony carries a most symbolic value and is the opportunity to recall the life of a great. Elder and in so doing, it gives this class a sense of identity, together with a sense of pride and of cohesion. It is also the opportunity to rekindle the Alumni fervor. Selon les directives officielles, l'Ecole du service de santé des armées de Bordeaux, ainsi d'ailleurs que son homologue de Lyon, fermeront le 1er juillet 2011. Une nouvelle Ecole ouvrira à Bron, à cette date là, sous le nom d'Ecole de Santé des Armées -ESA- et se voudra l'héritière de ses deux grandes devancières. La promotion 2008 est donc la dernière admise à l'Ecole de Bordeaux, clôturant définitivement la liste des parrains et des baptêmes. En juillet 2009, l'annonce officielle de la fermeture de l'Ecole est rendue publique, l'assemblée générale de l'Asnom envisage le devenir de l'Amicale et commence la mise en chantier de nouveaux statuts. Le 10 avril 2010, se déroule le baptême de la promotion 2008, dernière promotion à avoir intégré l'Ecole. Son parrain « Santé Navale », choix très symbolique, scelle à tout jamais les 120 années d'existence de l'Ecole. L'assemblée générale de cette date, qui se déroule à la faculté de médecine et de pharmacie de la place de la Victoire à Bordeaux, se veut responsable et digne, l'Asnom restant la seule structure devant assumer l'héritage mémorielle de cette période. Diverses dispositions sont prises pour que cet héritage soit pleinement restitué auprès des plus jeunes pour que soit conservé cet état d'esprit si particulier forgé au cours des années passées en commun dans cette Ecole. Le 17 juin 2011 a lieu, à l'Ecole, la dernière cérémonie militaire. Emprunte d'une grande sobriété et d'une émotion particulière ressentie par tous, elle devait marquer la fin inéluctable d'une grande épopée humaine. L'Asnom doit s'adapter à cette situation nouvelle et prendre pleinement conscience de ses devoirs vis-à-vis de cette Ecole. Selon les directives officielles, l'Ecole du Service de Santé des Armées de Bordeaux, ainsi que l'Ecole du Service de Santé des Armées de Lyon, ferme le 1° juillet 2011. Une nouvelle école s'ouvre à Bron à cette même date, elle porte le nom d'Ecole de Santé des Armées, ESA, et se veut l'héritière de ses deux grandes devancières. In 1856 with Emperor Napoleon the third, the Army set up the Imperial Military Medical Academy in Strasbourg. Prior to this date applicants for a position of medical officer were trained in Army hospitals in Lille, Metz, Strasbourg and Toulon. With the 1870 defeat this Academy which was no more an imperial one, was moved for good to Lyons, in 1889. After completing their curriculum these medical officers were assigned to regiments of the metropolitan army or were assigned to posts in territories of the Maghreb, which were either colonies or protectorates (Algeria ,Tunisia and Morocco). 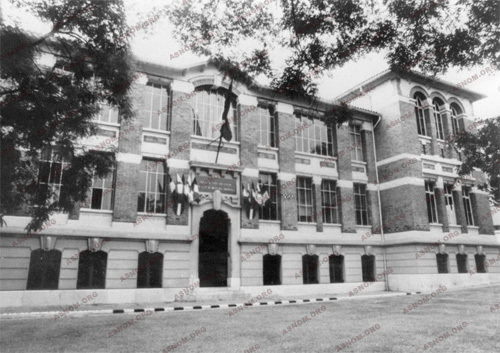 A new section of this academy was added in 1941 for the Air-force. Also in 1925 a colonial department was started, which was open only for medical trainees as the numbers of physicians on assignment overseas had to be boosted. This colonial department was closed in 1956. During its thirty one year long period of operation it supplied the training of one colonial physician out of four. These trainees dubbed "Santards" were students of Lyons Medical School in the same way as the "Navalais" were in Bordeaux and after their graduation they went to the "Ecole d'Application du Pharo" (theTraining School) in Marseilles. THE TRAINING SCHOOL OF THE COLONIAL MEDICAL CORPS OR "PHARO SCHOOL"
In 1850 the Army had set up in Paris the "Ecole d'application du service de santé militaire" (Military Medical Traning School) which was connected to the Val de Grace Hospital. In 1856 the Navy Medical Corps received its "Ecole d'Application" (Training School) in Toulon connected to the Ste Anne Navy Hospital which became the training hospital of this institution. In 1905 the Colonial Army Medical Corps which had been recently set up had its own Training School started in Marseilles. Its building located in the Pharo's Park on a promontary overlooking the harbour was inaugurated on July 27th 1905 by General Archinard who was Commander in chief of the Colonial Army. Renowned tropical medicine senior specialists of the time such as Clarac* who was at the head of this institution and Simond* who was its deputy director attended this ceremony. 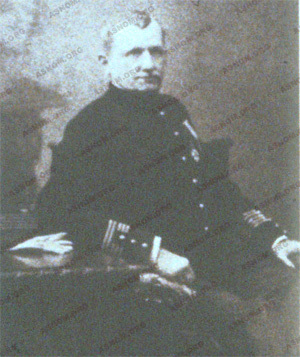 Most members of the faculty were at the head of departments of the Michel Levy Hospital which was the hospital of the Military in Marseilles. The first graduation class of 1905 had 46 physicians and 4 pharmacists. Because of the first World War this institution had to discontinue its operations from 1914 up to 1921. In 1928 the Director of the time named L'Herminier* designed three successive competitive examinations to make a selection of candidates for hospital positions : specialist assistant, colonial hospitals specialist and professor of the Pharo Institute. This is how a faculty with high standards of teaching was set up. Several of its members became Fellows of the National Academy of Medicine and some others Fellows of the Academy of Surgery. The Pharo was a mainstay of training for tropical medicine and a place where medical skills could be brushed up with some physicians broadening their knowledge before taking a competitive selection examination while some others updated their knowledge or undertook their specialization in some field. As the Pharo was considered as a think-tank in Medicine and Biology where new doctrines and methods were imagined, the institution building was deemed a perfect setting for conferences and even for some international conventions. A documentation centre was started in 1936 with one of the best possible supply of tropical medicine and pharmacy books in the world : photocopies of medical information could be supplied to isolated physicians practicing in the colonies upon their request on any subject they were interested in. A research Centre was started in 1953. Its range of activity included research in fields of Pharmacy, Biology and Chemistry Sciences and also in Clinical Medicine in close connection with practitioners of Michel Levy Hospital and also with the network of fellow physicians all around the world. Shortly after starting to release papers in medical publications this institution became an undisputed scientific authority. Its papers became good references as their authors could take advantage of the experience of French physicians scattered around the world. In 1975 this institution, the denomination of which changed many times over the years, became the Armed Forces Tropical Medicine Institute (IMTSSA). To date it is still in operation and as of 1966 it was assigned the duty of training young graduates in tropical medicine and pharmacy who were about to go overseas for their national service with the French Peace Corps. With the merger of the different medical corpses of the Armed Forces the training duties and research activities of this Institute were changed and it was assigned more diversified duties. In 1907 with the completion of the training course of the first class of the Pharo Institute, bestowing a name on this was deemed to be necessary in order to back up its cohesion before a long expected but also somewhat scared departure. This deed was carried on up to 1959 but somewhat irregularly with the naming of only 28 annual classes. Trainees used to select a name according to the circumstances of their time,or an Elder's name either famous for his deeds or more humble but who had lost his life gloriously or under dramatic circumstances. This deed initiated the tradition of bestowing a name on each class of the Medical Service. This world famous school was officially shut down on 1st July 2013. The closing ceremony took place on 13th June in the presence of civilian, military and university, high local authorities as well as the entire Direction of the Army Medical Corps. These ceremonies brought to an end the 108 years of existence of the Pharo School. During this period the institution formed 8000 doctors, pharmacists and administration officers, 2200 National Service volunteers and 2000 paramedicals. These personnel were at the origin of the creation and setting up in those countries where France bore responsibility for sanitary conditions, 41 general hospitals, 53 secondary hospitals and their doctors, 2000 dispensaries and 600 maternities as well as14 overseas Pasteur Institute research centres such as the Marchoux Institute in Bamako, the Muraz Centre in Bobo-Dioulasso, the ORANO in Dakar, numerous medical schools of which Pondichery 1863, Tananarive 1896, Hanoï 1902, Dakar 1918,were to become faculties, 19 nursing schools, numerous mobile services to fight widespread diseases, a service whose originality and efficiency cannot be denied. Besides the sad and emotional aspect of witnessing the closing-down of an institution which carried out its mission perfectly, even beyond reasonable expectation, the most serious reproach one can make is that no replacement solution was envisaged to ensure a practical training course for young doctors and pharmacists given by teachers whose field work permitted them to transmit recent experience. In 1903 as soon as the Colonial Medical Corps got started emphasis was made on complementing the training which fresh graduates had received at Bordeaux and then Lyons medical schools with a six month long of further training course at "Le Pharo" in order to provide them with a professional specialized training which beside the teaching of a theoretical background included the acquisition of practical skills which they would need to fulfil the duties of the "Colonial Army Medical Corps". - Physicians had to become familiar with tropical diseases and with emergency surgical procedures. - Pharmacists had to study tropical plants and toxicology, industrial food processing and safekeeping of medications in tropical countries. - NCO nurses : beside of acquiring the knowledge of exotic medical conditions were trained in the specific nursing care for each of them and were taught legal rules which were enforced in the colonies. This training was mostly a practical one as it was not about passing on the content of a textbook or some knowledge to trainees, but it strove to give them the means to provide for the medical needs of populations. Laying out the curriculum was no longer the businesses of those who held positions in the Ministry but was now done by those who were involved in the field of action. Starting in 1907, surgical procedures, microbiology and parasitology, public health issues were taught through lectures but also through intensive laboratory training. With the completion of their training these individuals were able to face unforeseen situations and also to devise new techniques such as the Jamot's doctrine for action which was designed for the fight against Sleeping Sickness. 2 - The 2nd objective was to keep in mind the need of a global approach of medical issues which had to be addressed in collective and pre-emptive ways. This made a sharp difference with medical trends in Europe where curative medical care for individuals was given priority. The Community Health Doctrine was designed at first at the Pharo Institute and WHO rediscovered and adopted it fifty years later. 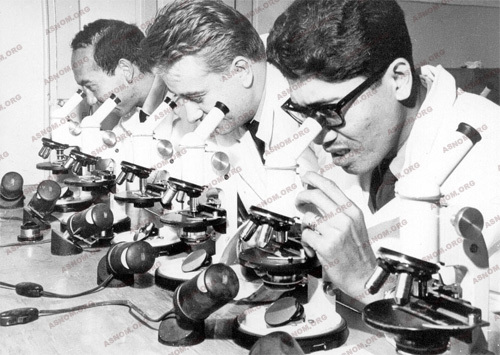 Emphasis was made on epidemiology, on the need of hygiene for individuals and communities, on having microbiology and parasitology techniques applied on the field of action, and also on making ratings of endemicity. It can be therefore considered that Le Pharo has been the first institution devoted to Public Health the world over. 3 - The 3rd objective was to acquire the ability of getting used to new bio-geographical settings, to obsolete technologies and also to the lagging socio-economical development of tropical countries : today all this would be known as underdevelopment with populations overcrowding some areas while some others remain scarcely populated, illiteracy, scarcity of public utilities for the supply of drinkable water or electricity , difficulties for fixing equipments which would be deemed obsolete in France and also difficult means of transportation. This is the reason why until 1945 horse-riding training was part of their curriculum as in the wilderness it often constituted the only way to go from one place to another. Better still up to 1937 pharmacists received weather-forecast and radiology equipment training. During this long training course physicians or pharmacists, either Alumni of Bordeaux or Lyons Academies got the feeling of sticking together as Members of the Colonial Medical Corps. Their bonds of friendship were reinforced during this period and their identical way of devising and of behaving also. This community of thought grew even sounder over the years as their identical vocation combined with their common professional undertakings and also with the life they shared in the tropics were invaluable factors of cohesion and of real brotherhood. With the completion of the Pharo Institute course these young officers had to take an examination and were ranked according to their marks. They selected their overseas assignment accordingly. Then came the time of their departure which was the first of a career stretching over some 35 to 40 years. For each of them this first tour of overseas duty (most likely in the "bush") was a significant stage in their lifetime. The Management Officers framework was set up in 1904 and was assigned the duty of "assisting physicians who were in charge of running healthcare services in colonies". Starting in 1906 these officers replaced accountants who had been so far managing hospitals and other medical facilities. They were also assigned military duties, as they were the commanding officers of nurse squads which were formed of non commissioned officers (NCO). At first they were trained at the Military School for Management Officers in Vincennes together with colonial quartermaster trainees. Later, from 1947 onward their training was started in Lyons at the Military Medical School where a new department was now open for their training beside the one already in operation for the army medical trainees. Each year a competitive examination for admission took place which, non commissioned officers with the rank of sergeant who had already been trained as accountants or as platoon leaders, could take. This examination took place at Le Pharo: each year five to ten candidates were admitted to Lyons and were promoted to the rank of officer cadet and had to train there for one year. After the completion of this course in Lyons, they were promoted second lieutenant and attended Le Pharo where they got trained in hospital management, in overseas legal regulations, in employment laws, in colonial administration but in the meantime they had also to be interns in the Management offices of a military hospital. At first there was only a small number of them, but with the opening of new medical, teaching, research, and sanitation facilities, their numbers had t grew accordingly : 38 in 1911, 67 in 1936, 82 in 1948. In 1965 when the colonization time was over, this Corps was merged with its metropolitan counterpart. The framework of this category of personnel who were non commissioned officers was designed according to the same pattern as that of all the other categories of military technicians. After enlisting, young recruits of the Colonial Army trained and had to take two proficiency examinations. After, they were promoted to the ranks of corporal and nurse sergeant. Their training took place in several hospitals of the Military in France but also in several capital cities overseas. After a couple of years of practice they could train for their vocational training certificate which was entitled BT1 (Brevet Technique) and take the examination with two possible options "health care" and "book-keeping" .With the first option they became registered nurses once they had passed the exam and with the second they were awarded a certificate of proficiency in book-keeping. Later on, their pay was raised once they had passed a further examination entitled BT2 which confirmed that they had achieved higher standards of proficiency. In their curriculum they had administration courses (legislation, accounting, medical record keeping and so on) which were as important as scientific and technical training (tropical diseases, health care, laboratory techniques) or public health teaching health ca.In the health care option there were several different possible training courses :laboratory technician , radiology technician, operating theatre technician. All nurses were not compelled to attend Le Pharo. The only ones who had to do so, were those who had applied for getting qualified in the fields of administration or of hospital duties and also those who were interested in the Control of Major Endemic Diseases or in Pharmacy. Their ranks went from sergeant up to chief warrant officer. Those who had selected the administrative branch could also make their way up, as after attending a one year training course at the Pharo Institute they were promoted to the position of Management Officer. Once they had returned to civilian life those who were already registered nurses with their BT1 certificate were granted the same prospects and prerogatives as other registered nurses and could work accordingly. In a seventy eight year long period of time, the colonial medical corps has included around six thousand personnel. In 1890, when the Colonial and Protectorate Medical Corps was created, 215 physicians and pharmacists (these representing 10 to 12% of the total) were expected to be recruited over a period of two years. Few are the civilians who like Yersin* apply. On the other hand, many from the Navy apply. They are already familiar with the tropics and ask to be transferred to the new Corps. The first classes of the Naval Medical School, which was also created in 1890, will have completed their studies only in 1895. So in order to reach the proposed number, the Colonial Troops "borrow" 65 extra physicians from the Navy. In 1903 upon taking over the "Colonies and Protectorates Medical Corps", the "Colonial Medical Corps" included 350 physicians and pharmacists and in 1906 this number had raised to 460. In 1936 there were about one thousand of them and 1200 in 1957. In 1968 by the time of its consolidation with the Armed Forces Medical Corps there were 1400 officers in the Colonial Medical Corps. With furloughs, specialization training courses, assignments to colonial army units posted in France or to the Ministry of Colonies, two thirds only of these personnel were on overseas duty, which made roughly for 800-900 physicians and pharmacists who were practicing "hors cadres" which means that they were practicing in these countries "out of the frame of the military". These growing numbers of personnel give evidence of the importance which successive governments gave to the role of the Colonial Medical Corps. Spectacular recoveries, and successful vaccination campaigns, mostly against smallpox, constituted good propaganda. As he was subduing Morocco, Lyautey who had taken part with Gallieni in Tonkin and Madagascar campaigns could claim one day "With four additional medical officers on duty here, I should be able to give you back one battalion".